Elaan (1994) Hit or Flop : Box Office Collections - Checkout Box Office Verdict, Trailers, songs, lyrics, release date and collections of Akshay Kumar, Madhoo, Amrish Puri, Farida Jalal starrer Elaan. The movie is directed by Guddu Dhanoa. 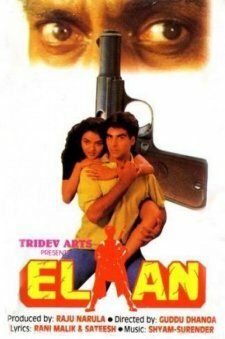 It released in India on 21 January, 1994.